After reading a lot of the benefits and testimonials from the users of Apple Cider Vinegar (ACV), I decided to try it. I wondered if it is all that it is made out to be. This article is a compilation of my experience and research while using it. I came to know about ACV couple of years back. When I saw Katy Perry’s video about its magical health benefits, I was perplexed. How could something like ACV resolve so many health concerns? I have now been regularly consuming it. After drinking it personally for several months, I thought of writing an article on the vast uses of ACV, and it’s absolutely fantastic health benefits. As said earlier, Please note I am sharing here my observations and experience. 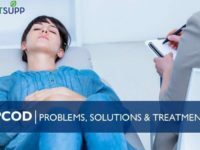 I am also sharing a long list of scientific tests conducted across the world as references, that I have used while writing this article. So here comes. But if you want to jump directly to a particular section just use the links in the table of contents. 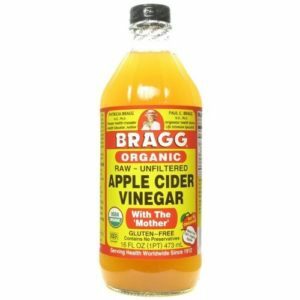 Here, I will share with you the health benefits of Organic, unfiltered, raw Braggs apple cider vinegar only, as that is what I tried & what I recommend. Organic, unfiltered, raw Apple Cider Vinegar contains “Mother of vinegar.” The strands of proteins, enzymes and friendly bacteria give a murky, cobweb-like appearance called the Mother of Vinegar. The external benefits of ACV are numerous. It helps maintain healthy skin. It helps promote youthful, healthy bodies. It soothes irritated skin. It even relieves muscle pain from exercise. Here’s a whole list of things you can do with ACV. “Mother of Vinegar” is the most nutritious part of ACV. It is a Rich Source of Iron: As per a study appearing in the February 2015 edition of the Journal of the American College of Nutrition mother of vinegar is high in iron. And that is great news for all those who are deficient in Iron. You see, your body need iron to make haemoglobin which carries oxygen in the blood. It is a Good Source of Phenolic Compounds: One of the major phenol found in the mother of apple cider vinegar is gallic acid. Phenolic substances protect against diseases. It is High in Prebiotics: As per Victoria Rose, author of the book “Apple Cider Vinegar,” Mother of vinegar is rich in indigestible carbohydrates called prebiotics. Prebiotics serves as food for beneficial bacteria that live in the intestines. Probiotics crowd out the harmful bacteria and allow beneficial bacteria to grow and flourish. It contains B Vitamins: As per Victoria Rose, author of the book “Apple Cider Vinegar,” the mother of vinegar is a good source of B vitamins. ACV is rich in Acetic & Malic acid, which gives ACV its antiviral, antibacterial and antifungal properties. ACV can help kill pathogens, including bacteria. It has been found that Hippocrates, the father of modern medicine, used vinegar for wound cleaning over two thousand years ago. Many cultures around the world traditionally use it for cleaning and disinfecting, treating nail fungus, lice, warts and ear infections. ACV is a natural food preservative. When used as a food preservative it inhibits bacteria (like E. coli) from growing in the food and spoiling it. All this is due to its main substance Acetic acid. Acetic Acid in ACV kill bacteria and prevent them from multiplying and reaching harmful levels. Many consume Apple Cider Vinegar for weight loss. Consumption of ACV may decrease the glycemic effect of a meal through satiety thus reducing the total amount of food consumed. It has also been found that acetic acid found in ACV suppresses your appetite, increases your metabolism, and reduces water retention. This overall results into reduced weight and belly fat. The reduction of water retention itself allows for losing inches. A 2009 study from Japan found that taking two tablespoons of diluted ACV twice a day with meals helped people lose about four pounds after 12 weeks. Keep your total daily intake at or below 4 tablespoons. TIP: Some individuals with disturbed digestion may have difficulty in tolerating fermented foods. Such people may suffer from bloating, nausea, stomach cramps etc after ingesting ACV. I suggest that such individuals never drink ACV on an empty stomach. Always take ACV with food. Do not consume ACV directly out of the bottle, as your esophagus (throat) may not withstand its acid. Avoid smelling it for long as you may inhale a substantial amount of acid into your lungs, where it can cause some serious pain. Yes it is strong! ACV has been found to be useful for people with Type 2 Diabetes. 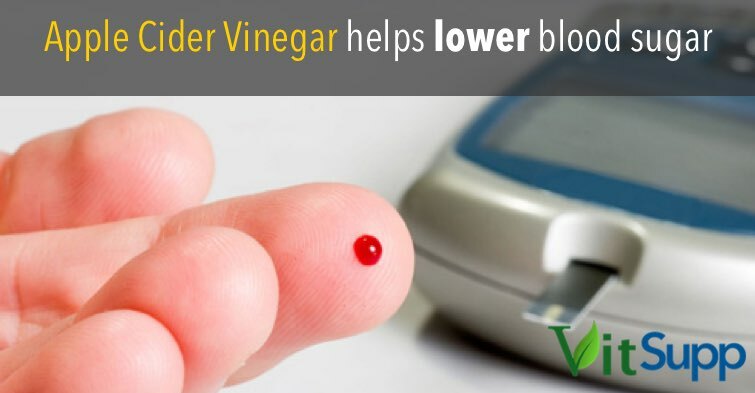 The effect of ACV on blood sugar levels is perhaps the best-researched. It is the most promising of all the known ACV’s health benefits. Sugar is anyways a cause of chronic problem among everyone in our society. The World Health Organization (WHO) recommends that both adults and children should reduce the intake of free sugars to less than 10% of total energy intake. It is quite clear from this that elevated blood sugar ca be a problem even in people who don’t have diabetes. In fact, sugar is the major cause of ageing and various chronic diseases. Dandruff is caused by a fungus called Malassezia. This fungus usually is harmless but for those with a compromised immune system, this becomes a pathogen. Dandruff is extremely high, with a prevalence in as much as 50% of the population! You see dandruff can clog hair follicles and prevent new hair from growing. This leads to hair thinning. A reduction in dandruff can help with better hair growth. ACV can help you with your hair dandruff problem, by changing the pH levels of your scalp, making it harder for the fungus to grow. To get rid of hair Dandruff problem with ACV you need to use it basis your scalp type. Combine warm water, ACV and raw honey in equal proportion. Spray the solution on the scalp and cover your head with a shower cap or a towel. Repeat the process 2-3 times in a week to get rid of dandruff. Aloe Vera contains anti-fungal, antiseptic and anti-inflammatory properties. When used, it soothes and moisturises the dry scalp. Into a bowl, add 2 tablespoons of ACV, 1 tablespoon of honey and 1 cup of aloe vera gel. The gel can be directly scooped from the aloe leaf, or it can even be store bought. Repeat the process 2 – 3 times in a month to get rid of dandruff. Yoghurt contains proteins and B vitamins and fats which are essential for hair and scalp health. It can also reduce the irritation caused by dandruff. Combine 1/2 cup yoghurt and 2 teaspoons of ACV. Wash your hair and apply the mixture on the scalp while it is still wet. Repeat the process 2 times in a week till you are rid of dandruff. Note: Make sure to use only plain yoghurt. Homemade is best. Tea tree oil contains antibacterial and antifungal properties. In fact, tea tree oil can kill the fungus Malassezia known to cause dandruff. Combine 1 cup distilled water, 1/4 cup of ACV, 5 drops tea tree oil and juice of half a lemon. Wrap the hair with a towel and leave it on for 30-60 minutes. Hope these home remedies are useful to eliminate dandruff. Do let me know in the comments, what works for you. Acne and acne scars are a common problem among teenagers. Antibacterial properties of ACV makes a great natural toner as it helps keep acne under control. The primary cause of acne is the blockage of skin pores due to pollution and dust in the air which settles on the skin causing bacterial overgrowth. The anti-bacterial properties of ACV inhibit acne by acting as a cleanser and toner. Dilute Apple Cider Vinegar (2 tsp) in ¼ cup of water. Mix it well with a spoon and leave it for some time. Soak a cotton ball in the mixture for 5 minutes. Remove the excess diluted solution from the cotton ball and apply it on the acne affected area for 2 minutes. Rinse your face with warm water. Use this method twice a day to get rid of acne quickly. Apple Cider vinegar helps remove stains, whiten teeth, and kill bacteria in your mouth and gums. The antibacterial properties of Apple Cider Vinegar may kill the bacteria, which generates smell. To use it add a teaspoon of vinegar in water and apply it with a swab or towel. Thanks to its anti-bacterial properties Apple cider vinegar is found effective against bacterial infection during your diarrhoea. It can also soothe intestinal spasms due to pectin, which is abundant in Apple Cider Vinegar. Apple Cider Vinegar is rich in Bio-active substances such as polyphenols and vitamins. These bio-active substances defend your body from oxidative stress which leads to accelerated ageing, cancer, and degenerative brain disorders. Apple Cider Vinegar with its significant antioxidant activity may reduce incidences of these degenerative illnesses. 13. Apple cider vinegar may help you recover from hiccups. The sour taste of Apple Cider Vinegar could stop hiccups. Its bitter taste relieves throat by overstimulating the nerves responsible for the spasms. As soon as you feel the prickle of a sore throat, employ germ-busting apple cider vinegar to help head off the infection at the pass. It turns out; most germs can’t survive in the acidic environment vinegar creates. Just mix 1/4 cup apple cider vinegar with 1/4 cup warm water and gargle every hour or so. 15. Apple cider vinegar may clear your stuffy nose. Apple cider vinegar contains potassium and acetic acid. These two ingredients are useful if you have a stuffy nose. Potassium thins mucus, and the acetic acid prevents germ growth resulting into de-congestion of the nose. The malic and lactic acids found in apple cider vinegar soften and exfoliate skin, reduce red spots, and balance the pH of your skin. Apples are one of the most nutritious, health-giving foods available, containing a host of vitamins and minerals like pectin, beta-carotene, calcium, iron, phosphorous and potassium in addition to enzymes and amino acids. Apples are the main ingredient in apple cider vinegar. Apple cider vinegar detoxifies and purifies various organs in the body. As a purifier, it breaks down fatty, mucous and phlegm deposits within the body. By breaking down these substances, it improves the health and function of organs such as the kidneys, bladder, and liver. 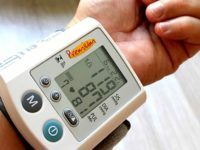 It oxidises the blood, reducing the risk of high blood pressure, and neutralises any toxic substance or harmful bacteria that enters the body by ingesting certain foods. Apple cider vinegar promotes healthy digestion, assimilation and elimination. AVOID buying ACV in plastic bottles! Since vinegar is highly acidic you don’t want the plastic compounds leaching out into your health fix. 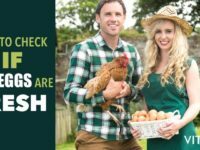 Best in Class Manufacturing: Made using exacting scientific standards used to meet organic certified food product standards. Braggs Apple Cider Vinegar is unfiltered, unheated, unpasteurized with 5% acidity. Unfiltered and it contains the valuable apple peel which is rich in important polyphenol antioxidants. Live food: Braggs Apple Cider Vinegar is raw. It is not Pasteurized and therefore it is rich in enzymes. Contains “Mother” of Vinegar: Contains the amazing “Mother” of Vinegar, a natural cloudy substance found only in raw, unfiltered organic vinegar formed from naturally occurring strand-like chains of protein enzyme molecules. It is highly regarded for it’s nutritional and health benefits. Apple cider vinegar is indeed a magical elixir, however within certain limits. If you use it for a short-term for medical or culinary purposes, you will enjoy its immense benefits. Just don’t overdo it. Increase your ACV dose gradually. Start small. Don’t shock your digestive system and you will be ok.
Apple Cider Vinegar should always be diluted with water. Its direct application or overuse can damage or corrode the oesophagus, tooth enamel, and stomach lining due to the high level of citric acidic content in it. Direct application of ACV on the skin can cause irritation, rashes, and a burning sensation. Over usage of ACV on hair may cause it to become lighter, drier, and brittle over time. Apple Cider Vinegar was discovered more than 10,000 years ago. The French said it succinctly: vin aigre – meaning sour wine. Vinegar is produced by fermentation of natural sugars to alcohol and then secondary fermentation to vinegar. You can also say, what wine is to grapes, that is vinegar to wine. In 400 B.C. the great Hippocrates, Father of Medicine, spoke of its health benefits. Babylonians used it as a preservative and as a condiment around 5,000 B.C. They were the ones who started using it for flavouring it with herbs and spices. Egyptians used Apple Cider Vinegar for body cleansing around 3000 B.C. Caesar’s army used ACV tonic to stay healthy. Vinegar was popular among the Greeks and Romans to promote healing. ACV was used in Biblical times as a cleanser. ACV was sold by street vendors in Paris during the middle ages for use as a deodorant and health tonic. Christopher Columbus and soldiers in the American Civil War used vinegar to fight scurvy. Samurai warriors in Japan drank ACV for strength and power. I found that Apple Cider Vinegar has magical health benefits and if you are willing to experiment, try it for yourself. It costs nothing and may be quite beneficial for your health due to its properties. Vinegar, which means “sour wine” in French, is a liquid consisting of about 5–20% acetic acid (CH3COOH), water and other trace chemicals. 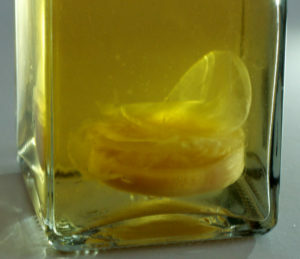 Carbohydrate of any type, which can be fermented to alcohol can be used to make Vinegar. Some fruits & vegetables that can be fermented to alcohol (ethanol) are grapes, dates, coconut, potatoes, beetroot and apples. Vinegar is produced by fermentation of ethanol to acetic acid by acetic acid bacteria (known as Acetobacter). Natural, unpasteurized vinegar contains Mother of vinegar. Mother of Vinegar is a substance composed of a form of cellulose and acetic acid bacteria (known as Acetobacter) that develops on fermenting alcoholic liquids, which turns alcohol into acetic acid with the help of oxygen from the air. Some people also call Mother of vinegar, Mycoderma acetic. Mother of Vinegar is found in unfiltered and unprocessed vinegar. Unfiltered Vinegar looks cloudy, and you can see it in the form of a film. This film is known as the mother of vinegar and is the result of bacteria fermentation. This is the most nutritious of vinegar, but it’s commonly associated with apple cider vinegar. Apple cider vinegar or Cider vinegar or ACV is the preferred form of Vinegar. Apple cider vinegar is made from cider or apple must and has a brownish-gold colour. 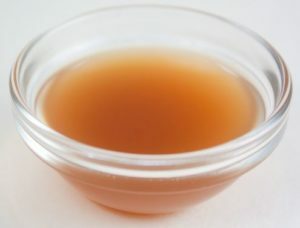 The most popular form of Apple Cider Vinegar is unfiltered and unpasteurized with the mother of vinegar (Mother of vinegar has a cobweb-like appearance and can make the vinegar look slightly congealed). To make ACV, Apple is crushed to squeeze out the liquid. Bacteria and yeast are added to the liquid to start the alcoholic fermentation process so that the sugar gets converted to alcohol. Once the alcohol is ready, it undergoes a second fermentation process. During the second fermentation process, the alcohol is converted into vinegar by acetic acid-forming bacteria (acetobacter). Acetic acid and malic acid give vinegar its sour taste. 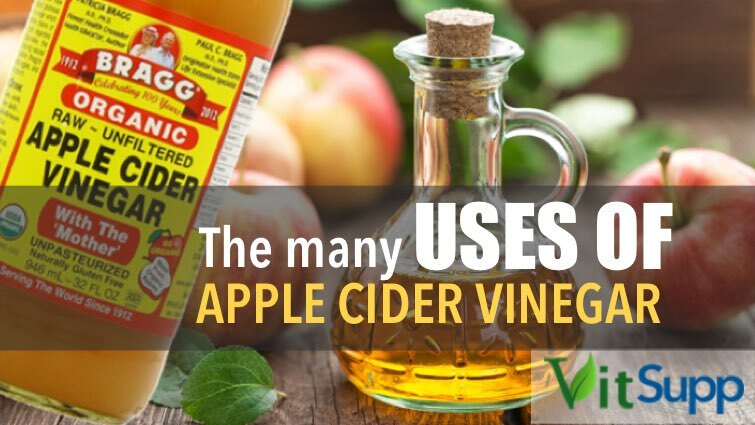 If you want to take ACV to get the benefits, the safest and most effective way is to add 1 to 2 tablespoons of vinegar in a glass of water and drink it. Some individuals with disturbed digestion may have difficulty in tolerating fermented foods. Such people may suffer from bloating, nausea, stomach cramps etc after ingesting ACV. I suggest that such individuals never drink ACV on an empty stomach. Always take ACV with food. Do not consume ACV directly out of the bottle, as your oesophagus (throat) may not withstand its acid. Avoid smelling it for long as you may inhale a substantial amount of acid into your lungs, where it can cause some serious pain. Yes, it is strong! You can use ACV as mouthwash or a digestive aid. You can use ACV as hair cleanser, skin toner, wart remover and as a deodorant. You can use ACV as a cleaning agent, rodent repeller and a weed killer in your home. Q8: Will Apple Cider Vinegar Lower Blood Sugar Levels? Two tablespoons of ACV before bedtime can reduce fasting blood sugars by 4%. 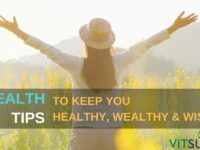 Q9: How to use Apple Cider Vinegar for weight loss? Q10: How to drink Apple Cider Vinegar? Safe and effective way to drink ACV is to add 1 to 2 tablespoons of vinegar in a glass of water and drink it on an empty stomach immediately before eating. Q11: What is the recipe of apple cider vinegar ginger garlic lemon honey for weight loss? Slows down hardening of arteries. Take 1 cup Lemon Juice, 1 Cup Garlic Juice, 1 Cup Ginger Juice. Mix and boil the mixture to one-third its original volume. Filter the mixture with a muslin cloth. Add 1 Cup of Organic ACV and 3 Cups of pure Honey. Drink 15 ml of this mixture everyday morning in half glass of water early morning, empty stomach. Q12: How to drink Apple Cider Vinegar for weight loss? Q13: How to take Apple Cider Vinegar for weight loss? Q14: How to use apple cider vinegar for hair? To use ACV on hair, mix equal parts of ACV and water in a spray bottle. Spray the mixture on your hair after shampoo and leave it for 15 minutes and rinse. 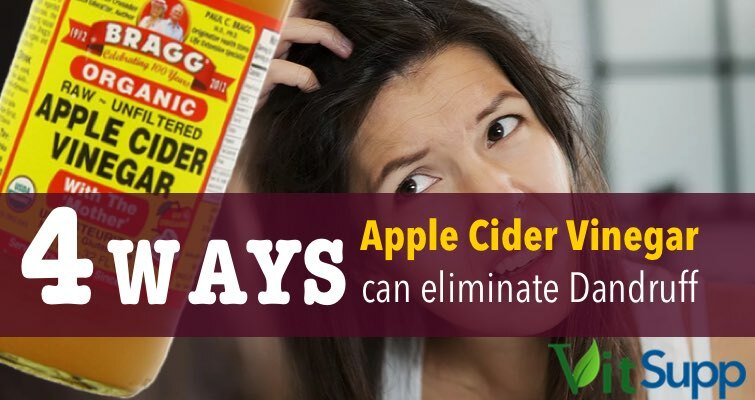 Q15: How to use apple cider vinegar for dandruff? Apple cider vinegar may help you with your dandruff problem, by changing the pH levels of your scalp, making it harder for the yeast to grow. To use apple cider vinegar mix equal parts of ACV and water in a spray bottle. Spray the mixture on your hair after shampoo and leave it for 15 minutes and rinse. Q16: How to use apple cider vinegar for acne scars? Apple cider vinegar is a wonderful skin cleanser. Apply diluted ACV with a washcloth on your face. Its protective acidic layer will make your skin feel smoother, absorb excess oil and reduce fine lines. Q17: How much apple cider vinegar should I drink for acne? To cure acne, apply a dab of diluted ACV overnight on age spots, pimples or acne scars to reduce their appearance. Q18: How to cure acne with apple cider vinegar? To cure acne, apply a dab of diluted ACV overnight on age spots, pimples or acne scars to reduce their appearance. ACV works by restoring the proper pH levels of your skin, and its beta-carotene helps to counter future skin damage. Q19: Is apple cider vinegar bad for your teeth? ACV is good for teeth as it helps remove stains, whiten teeth, and kill bacteria in your mouth and gums. Q20: Is apple cider vinegar good for heart patients? “STUDIES ON ACETIC ACID-BACTERIA I. BIOCHEMICAL STUDIES ON ETHANOL OXIDATION”. oxfordjournals.org. Holzapfel, Lisa Solieri, Paolo Giudici, editors; preface by Wilhelm (2009).Vinegars of the world (Online-Ausg. ed.). Milan: Springer. pp. 22–23.ISBN 9788847008663. Cleopatra dissolves pearls in vinegar […] vinegar is quite often mentioned, is the Bible, both in the Old and in the New Testament. “Balsamic vinegar”. BBC Good Food. Effect of neutralized and native vinegar on blood glucose and acetate responses to a mixed meal in healthy subjects. Brighenti F1, Castellani G, Benini L, Casiraghi MC, Leopardi E, Crovetti R, Testolin G.
Examination of the antiglycemic properties of vinegar in healthy adults. Johnston CS1, Steplewska I, Long CA, Harris LN, Ryals RH. Delayed gastric emptying rate may explain improved glycemia in healthy subjects to a starchy meal with added vinegar. Liljeberg H1, Björck I.
Vinegar dressing and cold storage of potatoes lower postprandial glycaemic and insulinemic responses in healthy subjects. Leeman M1, Ostman E, Björck I.
Apple Cider Vinegar for skin problems often successful. ACV works great for skin tags but it requires a lot of patience. Also tea tree oil and banana peel, These remedies are the best solution for skin tags. Thanks.